Motorcyclists love the sense of freedom that comes with the open road, and bikes are economical, easy to park, and fun to ride. Unfortunately, motorcycle accidents can result in severe injuries, and many drivers view motorcycle riders as reckless and irresponsible. A biased jury. There are always more car drivers than motorcycle riders on juries, and many of these drivers have a grudge against motorcyclists. In the event of a collision, they may automatically assume that you were at fault. This means that for a motorcycle rider, getting a fair personal injury trial can be a challenge. 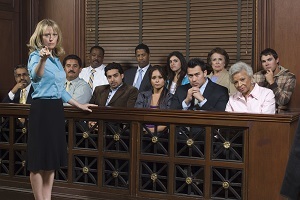 However, an experienced attorney can combat jury prejudices by educating prospective jury members that prejudice against riders is unfair, since most motorcyclists obey the rules of the road. An inaccurate police report. If you’re involved in a collision with a car while riding your motorcycle, you’re likely to sustain the brunt of the injuries. If your injuries are so severe that you’re unable to speak with the police officer at the scene, the other party may be able to convince the officer that you are at fault. This may result in an inaccurate police report, which can be very damaging to your case. Low settlement offers. Insurance adjusters will often use the bias against motorcyclists to convince them to settle claims for a lower amount. Insurance companies are aware of the court’s negative view toward bikers, and they often use this bias to justify lowball settlement offers. However, adjusters tend to offer more reasonable settlements when they’re dealing with a lawyer who is willing to combat prejudice against motorcyclists in a personal injury trial. Receiving fair compensation for your motorcycle accident is difficult, but not impossible. To collect the damages you deserve, you need representation by an experienced attorney. To learn more, contact the law offices of Steve M. Lee, P.C., by clicking the Live Chat button on this page.